O'Flynn - TKOTN / Siberian Goose Down. Vinyl 12. Bleep. London based producer O’Flynn has announced his latest 12” on his new label Hundred Flowers, following a string of critically acclaimed single releases on Blip Discs and Ninja Tune, further solidifying his status as one of dance music’s most captivating new club producers. 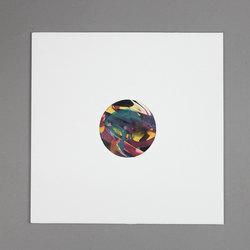 His new 12” release further refines and develops his signature afro-influenced house sound. A side TKOTN functions as a tense, glitchy club cut punctured by an explosive tribal drum pattern, manipulated vocals and a visceral, bass-driven pulse. On the flip side, Siberian Goose Down begins as a propulsive house track which intensifies throughout with warm percussive energy and intoxicating groove. O’Flynn rounds off a busy 2018 having toured the festival circuit with stops including Farr and Kelburn Garden Party, as well as providing live support on tour for Hunee, Bicep, Joy Orbison, Mall Grab, Kornel Kovacs and more. Since debuting in 2015 with standout 12” ‘Tyrion/Desmond’s Empire’, his rich productions have garnered support and acclaim from the likes of Four Tet, Gilles Peterson, James Blake, Bonobo, Denis Sulta, Hessle Audio and more. The young producer is set to go from strength to strength in 2019 with his latest release, and more new music on the horizon.